and not necessarily the good kind. I knew if I emotionally ate, the outcome would be a reverse affect of my hard work, and I was very much willing to accept that. In the end, the pain did subside and I only gained a couple of pounds. I’m determined to lose that weight and that pain. Being in control really does aid my happiness. It is great that I have finally had the chance to learn all of this by making this film. I have been given a one in a million chance to have three years of constant advice from the top diet and health gurus in the country. They are helping me fight the fight of obesity. Even through emotional obstacles, I’m still fighting the fight. It doesn’t have to be so hard…does it? Is Miss Piggy Promoting Obesity? You must think I am crazy, but there is a level of seriousness to it. Miss Piggy is one of the most beloved characters within the crew of Muppets… but she certainly has a weight problem. The audience can see her as a prototype of the overweight people they like to make fun of. Yet nobody behind the show has done anything to counter that. 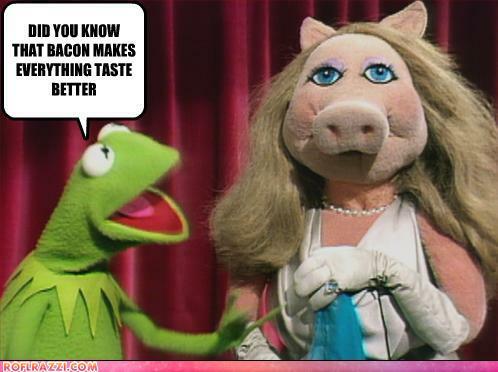 I give credit to team Miss Piggy and Kermit the Frog. They don’t make fun of the difference in size there. Size doesn’t matter in this case. 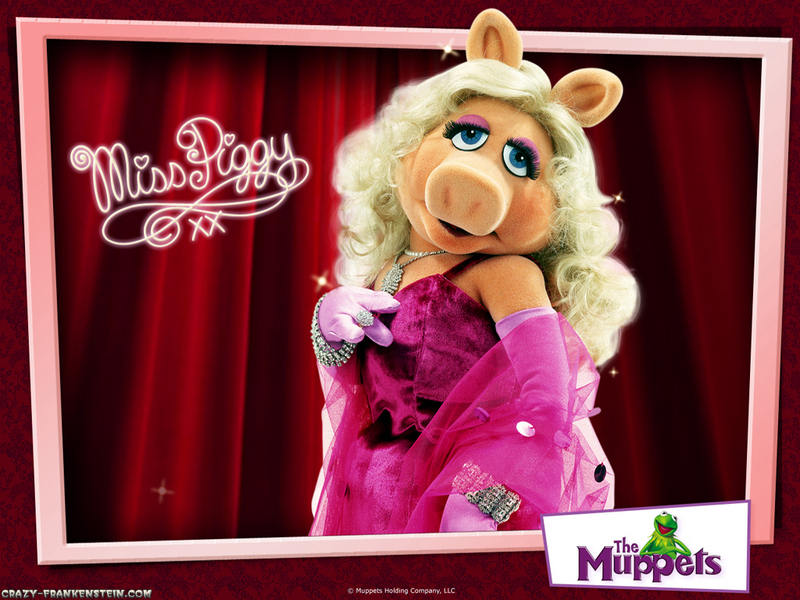 Still I question the reasoning behind Miss Piggy being overbearing and loud. Is it because she is overweight? In all seriousness though, if you look at many of todays animated characters, they are certainly all suffering from an uncontrolled eating problem. Surely the Cookie Monster changed his ways to promote his veggies; but when we see just a picture of the blue creature, we immediately associate a chocolate chip cookie being devoured and start to perhaps crave one ourselves. It is time that we control what goes into our mouth and take responsibility. It is time to not stereotype. It is time to promote health along with a healthy image. If not, I guess we can just cook Miss Piggy for a pig roast and see how the kids react. Another milestone happened in my life; Sunday I turned 25 years old. My quarter life crisis. Naturally I celebrated the entire Memorial Day weekend surrounded by friends and family. The parties varied with the people, location, and overall birthday feel, but there was one particular element that was present in every event… cake. For me, it’s not a birthday until there’s birthday cake. 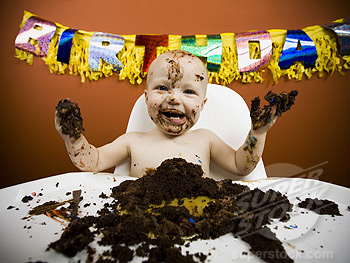 The birthday song followed by making a wish while blowing out the candles inevitably turns into slicing into the first (and biggest) piece of cake to devour. It’s part of the tradition, it’s the birthday food, it’s the celebratory meal. And regardless of the caloric count, we always justify our poor food choices “because it’s a special occasion”. Valentine’s Day chocolate, summer barbeques, Halloween candy, Thanksgiving stuffing, and Christmas… a little-or a lotta- bit of everything. Food is a part of our journey and the unhealthy choices is the highway we use to take. Food is not only part of our culture, but it is often a reward. Get a promotion at work? Go out to dinner. Breakup with a boyfriend? Put your face in a pint of ice cream. Turn a year older? Let ’em eat cake. While I don’t think giving your sweetheart Tofu candy is going to be the up and coming tradition, I do think better or (gasp) healthier choices can be made when celebrating. Make your health “a special occasion” everyday. When I was little, my best friend and I would rollerblade to our local McDonalds once a week. Every week we shakily crossed the busiest street in town, rolling with determination towards our favorite meal. We didn’t mind the threat of speeding traffic, we didn’t consider our journey to be exercise, we just focused on the payoff: Chicken McNuggets, french fries, and hot fudge sundaes. The golden arches beckoned us closer. The red and yellow colors were as bright as the vegas strip to two hungry 10 year olds. Fast, hot, greasy food was the jackpot. As my best friend and I enjoyed our happy meals, we were joined by another friend: Ronald McDonald. This May, an open letter was sent to McDonalds CEO Jim Skinner from more that 1000 health professionals. 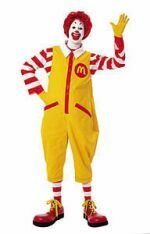 They urged McDonalds to stop marketing fast food to children, implying that Ronald McDonald was a tool of manipulation to to entice children. They want to fire Ronald McDonald. Personally, the clown was never really a draw for me. Granted he’s a clown, so he’s automatically interesting to kids. 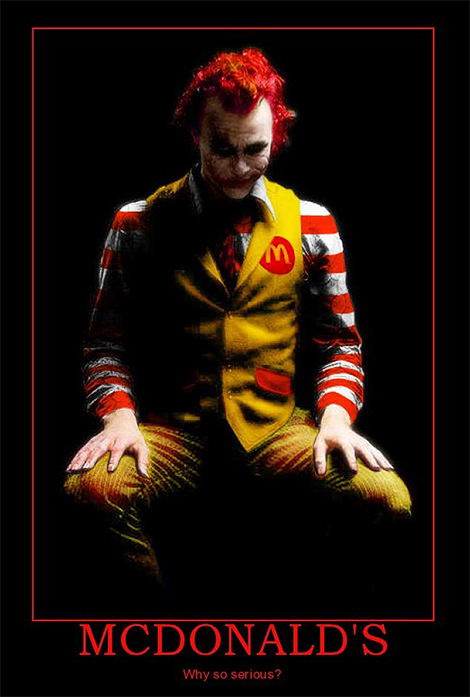 He also comes with french fries, which makes him more appealing to the terrified-of-clowns-set. Sporting his red and white overalls, giant red clown shoes, and the classic red nose, Ronald McDonald is as recognizable as Santa Claus. But his mechanically waving hand from the parking lot didn’t spur me into a feeding frenzy. It was the smell. It was the taste. It was the immediate satisfaction of greasy delight. I was never there to visit Ronald, I was there to satisfy my hunger. And there’s something so comforting about ritualized eating. It would be nice if McDonalds continued to evolve their menus. It would be nice if McDonalds needs to promote healthy eating. 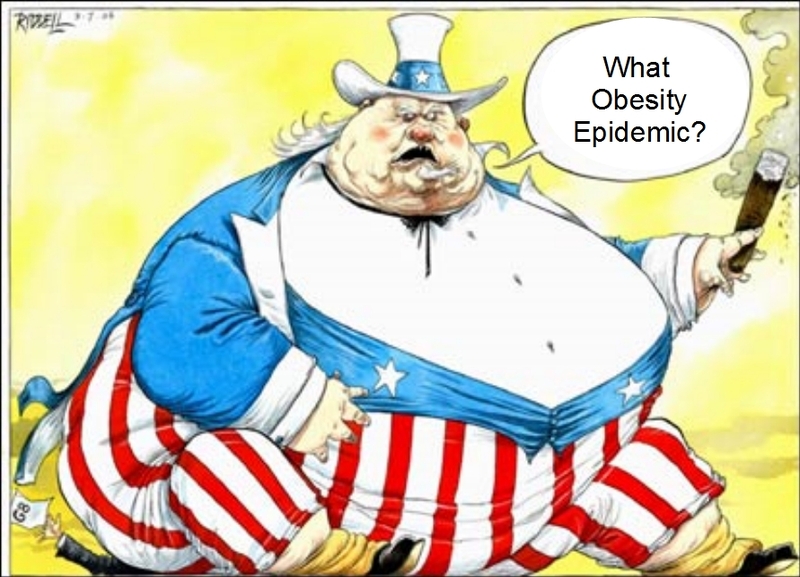 It would be even nicer if we could take the responsibility to lay off the fried foods altogether. Parents can get out of the drive-thru line and choose another place for a healthier meal. They can even (gasp!) cook a meal at home. Kids can be taught better eating habits. Americans can even pick healthier choices on McDonalds growing and health-friendly menu. So why blame the man in the clown shoes for what is ultimately our decision? During my quest to find thin, I started to gain even more weight. few healthy eating opportunities throughout the way. successful weight loss for as long as I’ve ever known. last of my dogs and the loss of two in a month or so time. 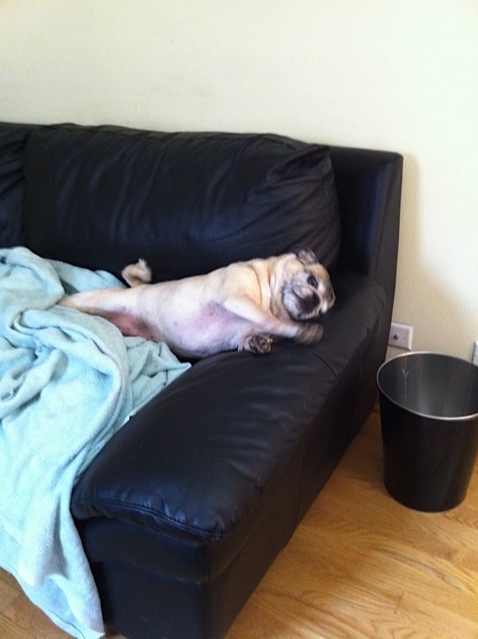 mention of my dog broke me into a million little pieces. it just didn’t feel right. care. I believe that I even lost weight. devastating as this in such a different way. hours, there is still hope out there. How many times have you walked to fridge and looked inside to see it loaded with a variety of food options and still thought to yourself; “There is nothing to eat”? Generally after that we move on to the cupboards or the pantry and think the same thing. After all of the food frustration many tend to give up and grab an unhealthy snack from the vending machine, nearest corner store, or even the secret stash laying in that tiny little cupboard. Staying home and eating in is one of the easiest and best ways to ensure that we are eating healthy and staying on track with our diet because we are in control of what we eat. However, it is so easy to fall victim to the cycle of eating unhealthy because of the way we often keep unnecessary and unhealthy food items at the forefront in our homes. How organized do you keep your kitchen? We can help correct this by reorganizing our kitchens for healthier choices. To do this, we need to reorganize two main categories of our kitchens; the food and the eating utensils. Take a look at what your daily eating habits consist of and compare it to how accessible those food items are in your kitchen. Do you eat a lot of candy when you come home from work? Is that because you keep a candy dish sitting out? Candy is an easy choice when it is sitting in an inviting bowl on the counter right when you walk in the door. The proximity, location, and ease of access of the food in our homes can drastically effect what we eat, but it can also help us create new, smarter eating habits. If you try placing a bowl of fresh fruits on your counter where that candy bowl used to b, I bet you would be eating healthier right now. How easy is it to find the junk food inside of your kitchen? Take into consideration where your other food items are placed in your kitchen. What food do you have sitting in your fridge door? What is right in front on the main shelf of your cabinet or pantry? These items are often the ones we choose the most because they are simply right in front us and seem to be an easy choice to make. This is why you should make sure that you strategically place the healthy foods in prime locations like this; more often then not you will naturally make the healthier food choice when you check your food stash. Make sure these food items are always in your sight and that they are easy to reach for when you want a quick snack or a healthy, tasty meal. Move all of the unhealthy snack items to the back of the shelf where they can hide behind your good food choices, or get rid of them entirely! Do you use different kitchen utensils and cooking items when you eat healthy versus when you eat unhealthy? Generally when I’m eating unhealthy I only use the toaster or the microwave and some dishes. When I eat healthy food items, I am much more likely to use all of my other cooking accessories like the oven/stove, pots and pans, spatulas, strainers, and so on. Knowing this, I can create a more inspiring environment in my kitchen by placing these cooking utensils out so that they are more dominant in my kitchen then even the microwave or toaster. Reorganizing your kitchen can truly create a more healthy eating environment. 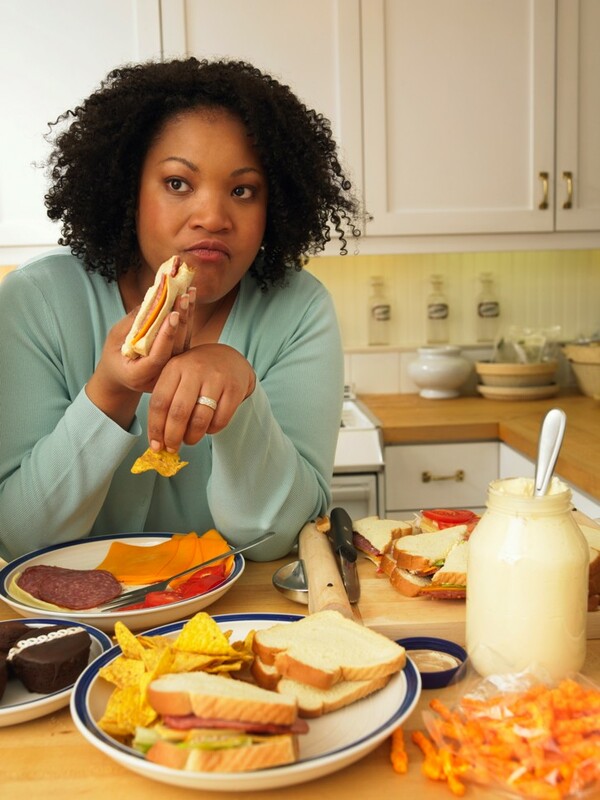 Keep those unhealthy food items out of sight and they will stay out of your mind. Place the healthy food choices up front so that they become the obvious choice for food and sticking to your health and eating goals can become a lot simpler. Do you have any tips on how you organize your kitchen or food for healthier habits? Post a comment below and let us know!